Harry Callahan: [at end of main titles] This is a 44. Magnum, the most powerful handgun in the world, and it could blow your head clean off. Do you feel lucky? Q: What does Harry mean when he says he uses a 'Light special' bullet in his 44 Magnum? Q: Who carries out which assassination on screen? This time Harry Callahan(Eastwood) attempts to detain a vicious killers are murdering mobsters and criminals.The rock-hard inspector is accompanied by an African-American cop(Felton Perry) and they track down a suspects P.D. (Robert Urich,Tim Matheson, Mitchell Ryan).The killers band sees outlaws freed on legal technicalities and they take justice into their own hands.Harry aware a secret gang which administers justice extra-legally and take revenge. Harry is called on once again and wielding a Magnum 44 revolver, he returns his unorthodox means;taking on ominous avengers group that is threatening the city of San Francisco. Harry in trouble as habitual with his chiefs(Hal Holbrook) because his methods lead abuse the criminal's civil rights and a pile of death in clod blood along his wake.Harry pursues the revenge-obsessed murderers and encounters he has more in common with them than he expected. Eastwood's second Dirty Harry entry is well written by John Milius and Michael Cimino; it packs tension,violence, action-filled and is really effective. 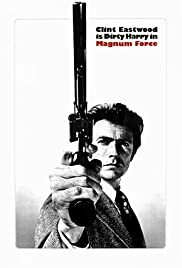 Although less exciting than ¨Dirty Harry(1971,by Don Siegel with Reni Santoni, Andrew Robinson) but still interesting and plenty of vivid action and suspenseful. 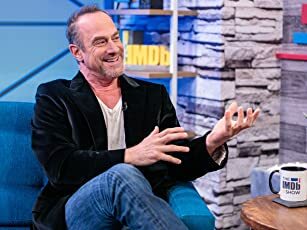 However this time ,doesn't feature Callahan's classic phrases, such as ¨Do you feel lucky¨ or ¨Go ahead , make me day¨, though he also says some original lines. Good use of locations by cameraman Frank Stanley and adequate musical score by usual Lalo Schifrin. Taut and expert direction by Ted Post and well produced by the usual, Robert Daley. Followed by ¨The enforcer'(1976, by James Fargo with Tyne Daly,Harry Guardino), ¨Sudden impact¨(1983, Eastwood with Sandra Locke)and ¨Dead pool¨(1988,by Buddy Van Horn with Lian Neeson, Jim Carrey). This formula thriller will like to Clint Eastwood fans and Harry Callahan series enthusiastic.